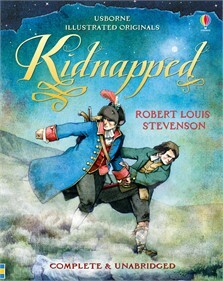 Robert Louis Stevenson’s daring adventure of kidnap, shipwreck and survival, complete and unabridged with stunning full colour illustrations throughout. Sold into slavery by his greedy uncle, David’s only hope of escape is to side with outlaw Alan Breck. What follows is a dramatic tale full of intrigue and action in the wild Scottish Highlands.